Get Ready for the Biggest n The Most Amazing, First of its Kind Pakistan Republic Day Celebration from 22 to 24th March. KPT - The Gateway to Pakistan is organizing First Ever, The Biggest and Best, The Most Amazing Attractions in Town. 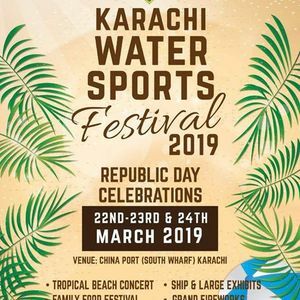 KPT Karachi Water Sports Festival, Mega Watersports n Family Festival is happening on 22nd,23rd,24th March at KPT South Wharf Oyster Rock. On Water activites : Island Tour , Speed Boats Rides, Jet Skis Rides , Cruise Boats , Sail Boats, Kayaks, Scuba ,snorkeling , Fishing , Towables. On Beach Attractions : Tropical Beach Setup , Photo Booths , Sand Sculpting , Tresure hunt , Zoo , Leva Boys , Kite Flying , Tug of War , Dancing Horse , Volley Ball. Kids Activities : Puppet Shows , Magic Shows , Drawing Competition , Jumping Castle , Kids Games . 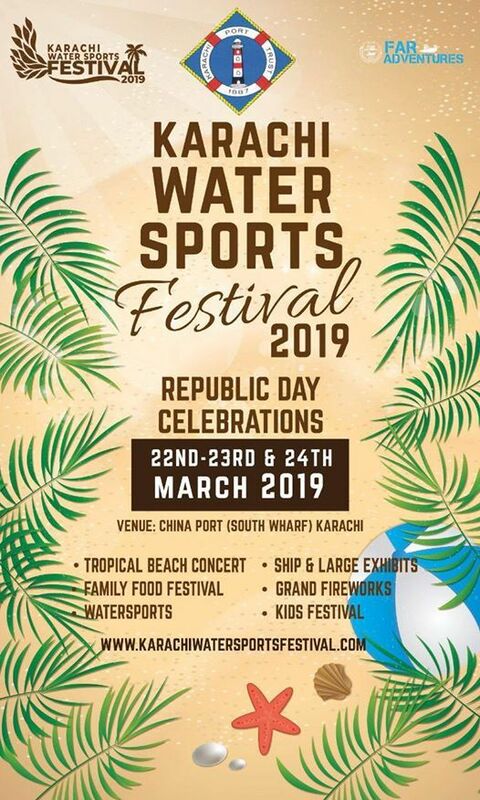 8:00 Am Special Performance of Watersports for VIP's & Sponsors.